Up until now, the issue of using hydrogen fuel cells as alternative sources of power has been a matter of debate. They required fossil fuels for production, needed external inputs of electricity to operate, and were too expensive to be considered as an all-encompassing solution to the global climate crisis. Enter the mighty microbe and a team of brilliant US researchers to provide a little hope for hydrogen. 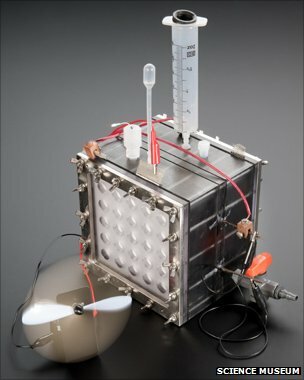 An article recently published in the National Academy of Sciences describes the newly developed “MEC”, or Microbial Electrolysis Cell which generates its own hydrogen without the aid of external electricity. Through a process called Reverse Electrodialysis, the cell uses fresh and saltwater membranes to generate and collect power from charged particles created between the gradients. In addition, the microbes manufacture hydrogen gas and small amounts of electricity by breaking down organic material. This technology has implications far beyond transportation. Without drawing power from the grid, MEC’s could also be used to treat waste water, refine oil, and process and stabilize foods. Like most new, experimental inventions, the MEC is costly and would benefit from investment and large scale production to get it off the ground. At the moment the Cell in on display at London’s Science Museum, and will hopefully be ready for real-world application some time in the near future.